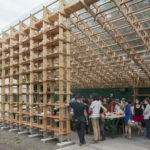 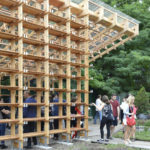 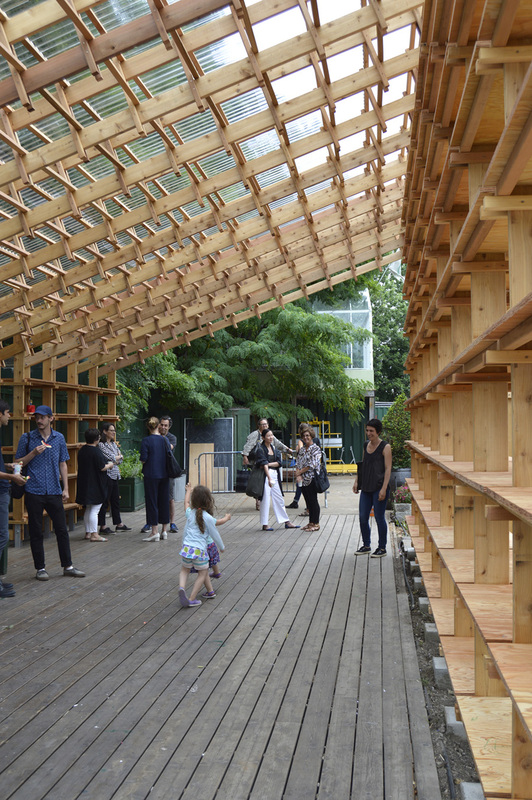 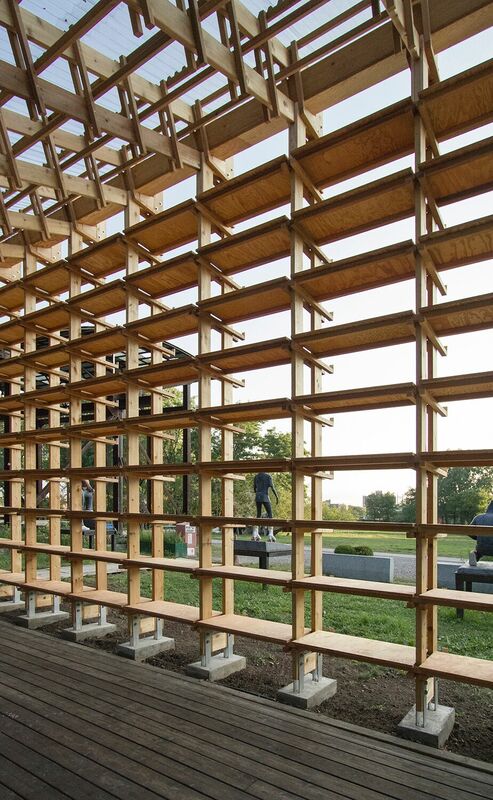 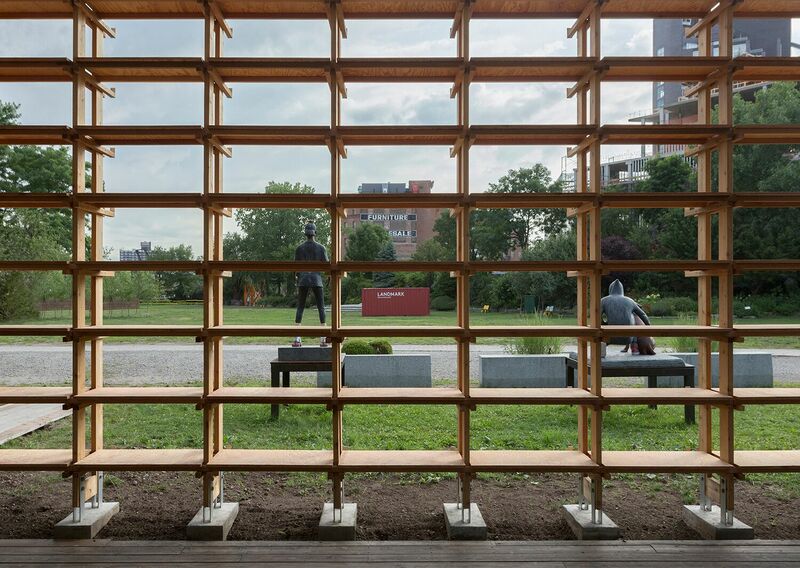 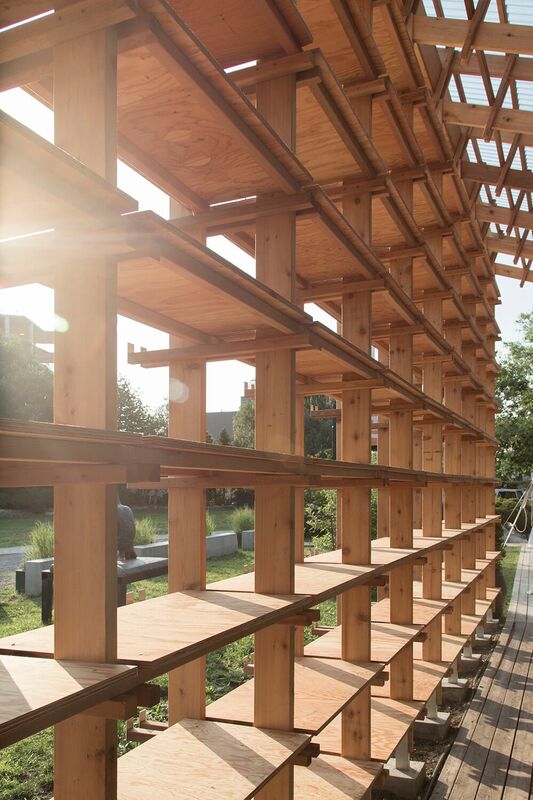 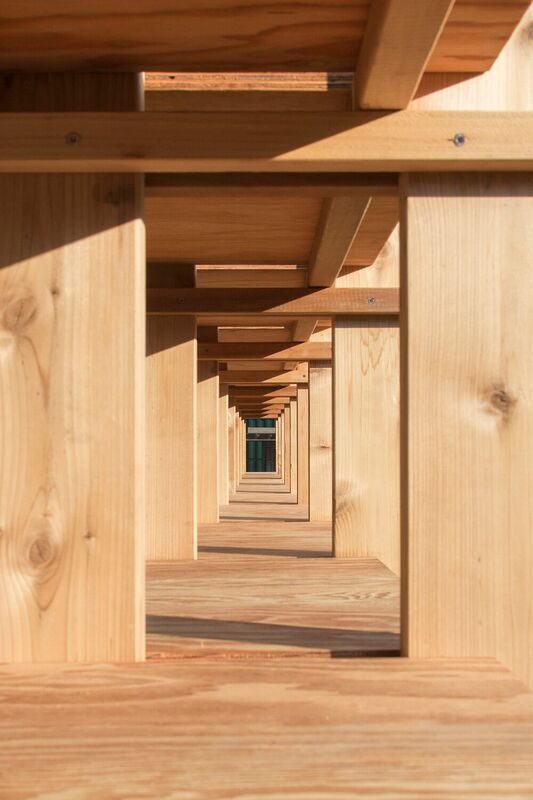 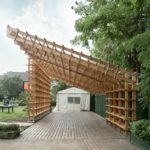 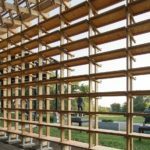 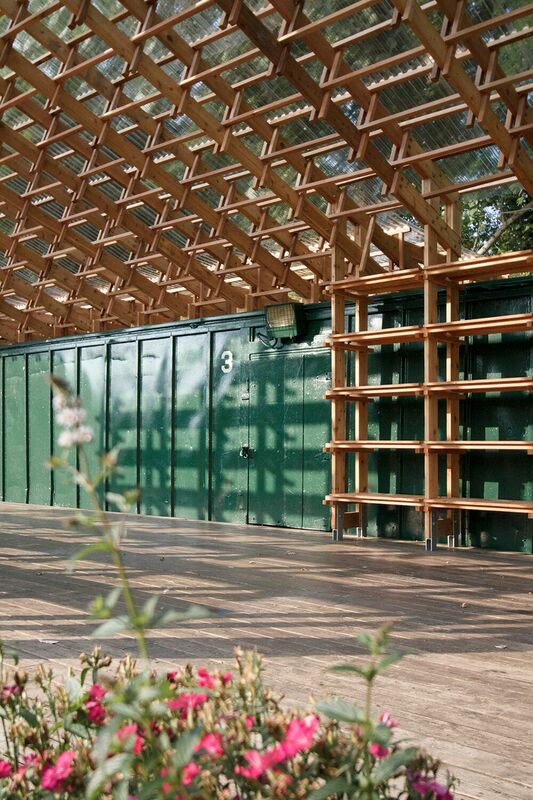 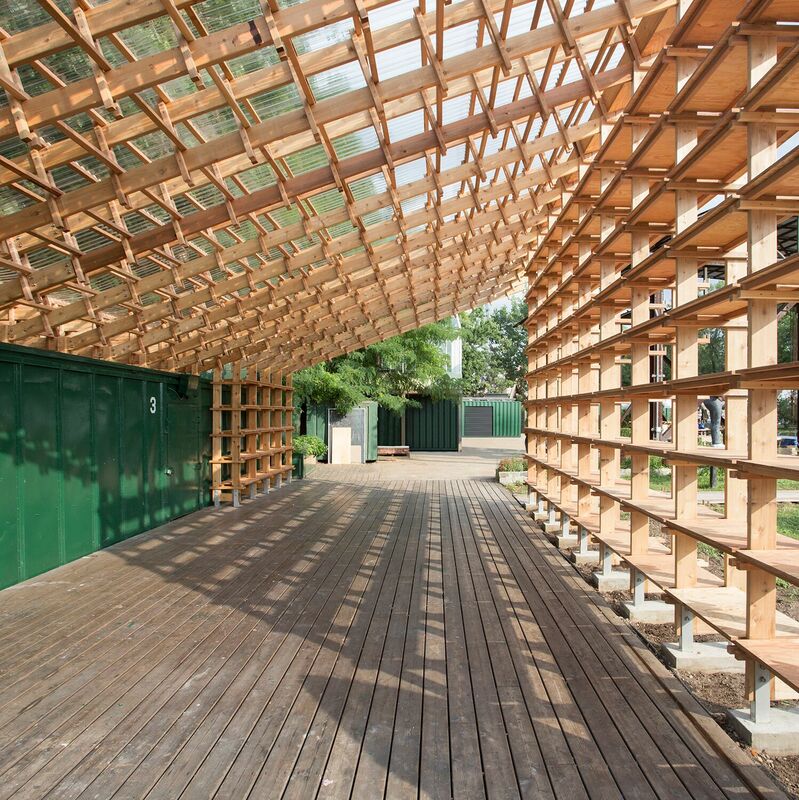 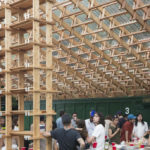 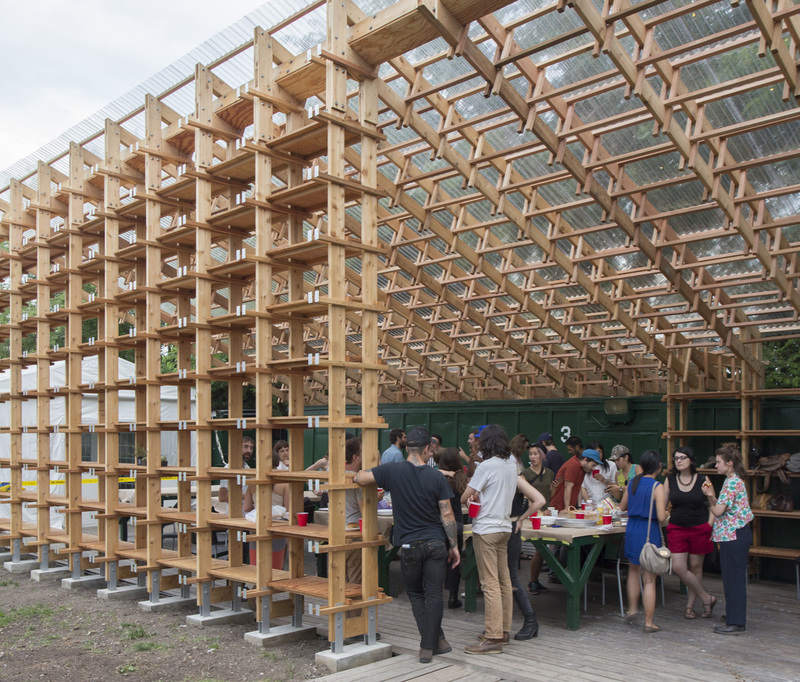 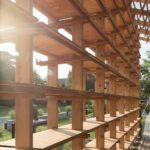 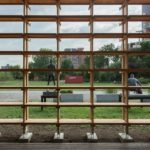 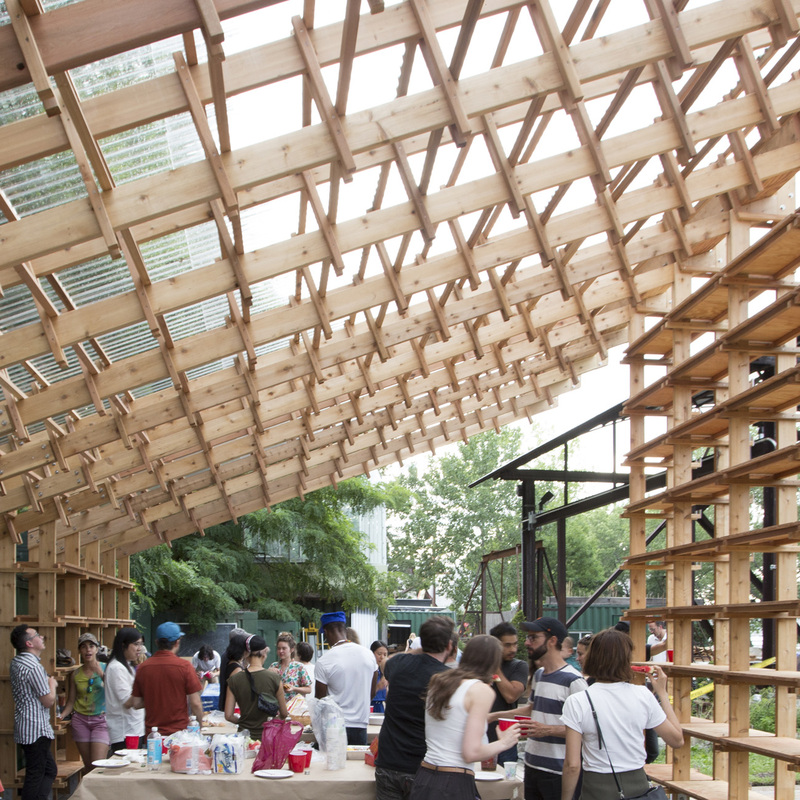 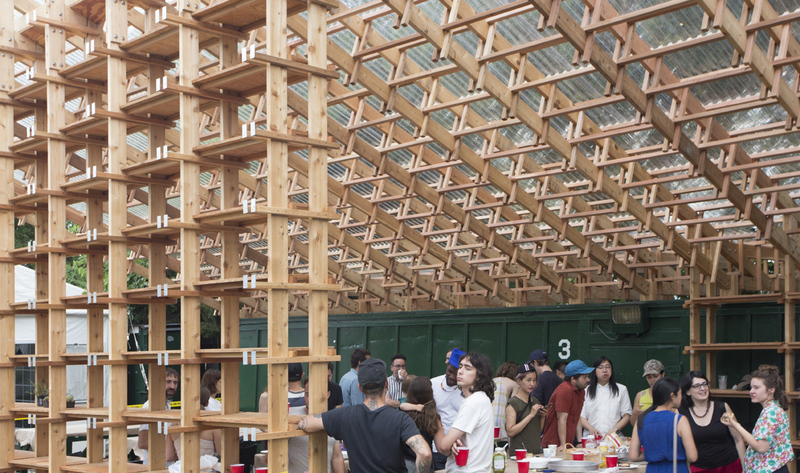 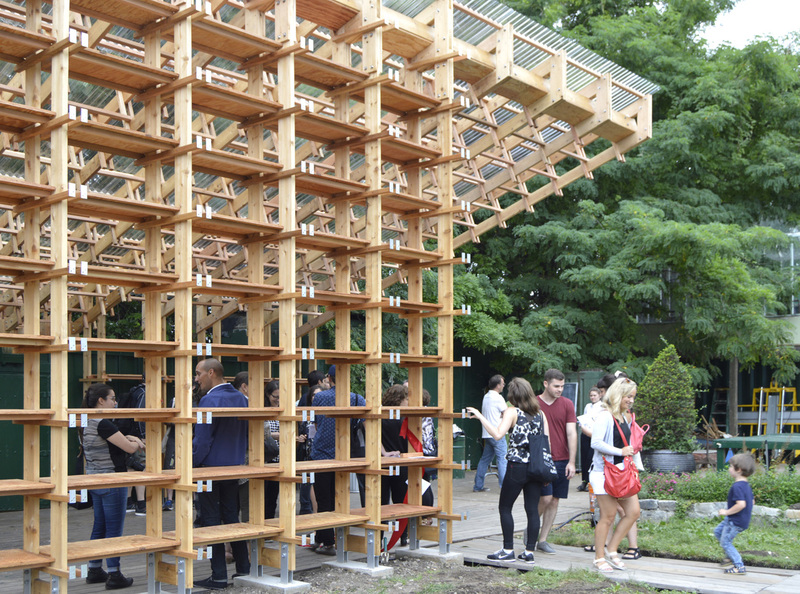 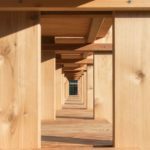 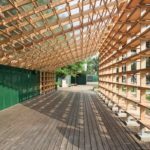 After winning the 2016 Socrates Sculpture Park Folly Competition, New York–based studio Hou de Sousa has seen their structure, Sticks, realized at the park in Long Island City, Queens. 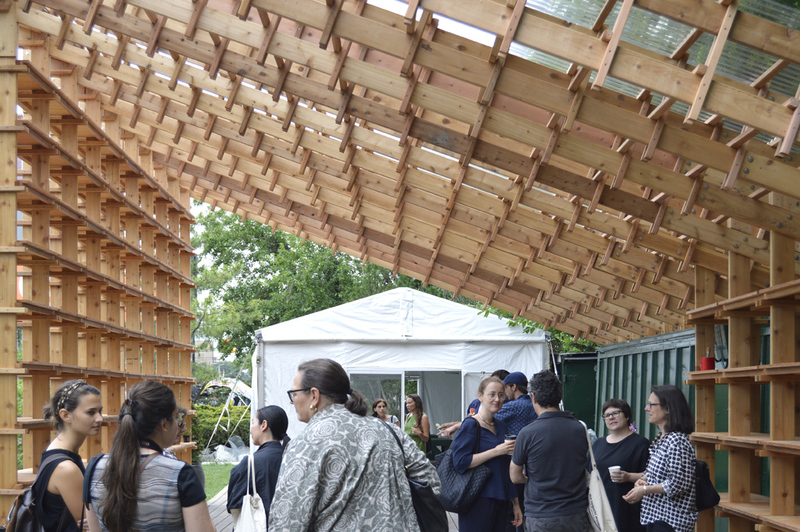 The opening of the space coincides with the park’s 30th anniversary. 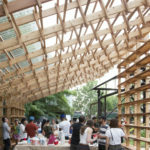 Hou de Sousa—comprised of Nancy Hou and Josh de Sousa—designed a folly that uses simple timber trusses to form a sloping roof and cut-away entrance. 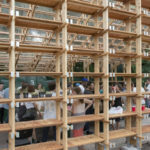 This year, the competition brief referenced the literal meaning of folly: A blend of architecture and sculpture that doesn’t really serve a useful purpose. 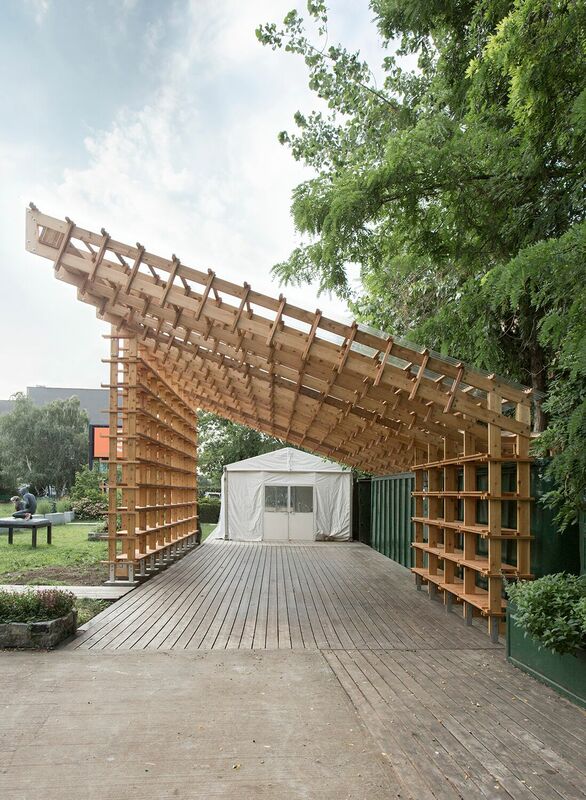 When Hou de Sousa was announced as winners, The Architect’s Newspaper noted that these structures were once popular in 18th century England and French patrician gardens. 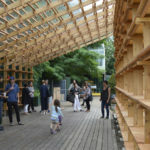 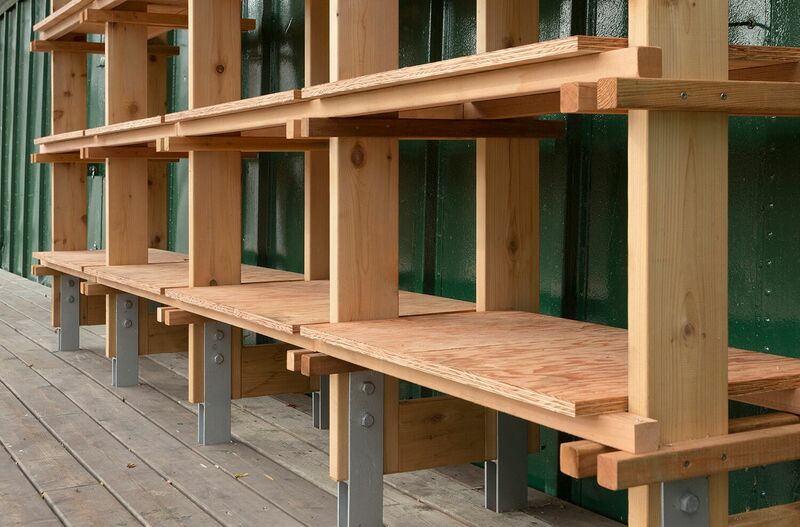 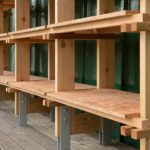 Speaking to The Architect’s Newspaper (AN), Nancy Hou and Josh de Sousa said that the structure should stay standing until December 30 of this year, though its primary use is for the warmer seasons. 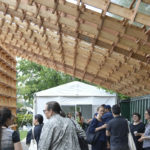 The structure is capable of holding various items of scrap materials, something Hou de Sousa hopes will allow the space come to life. 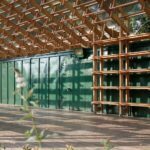 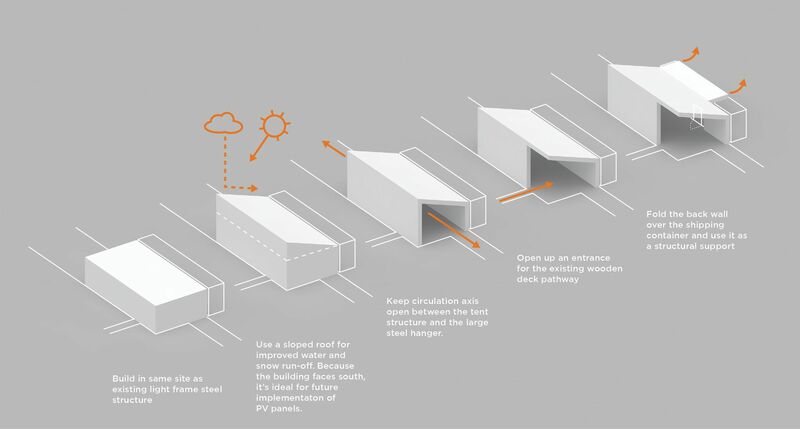 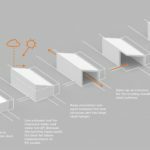 “The original design intention was that this can be a structure than can change over time,” de Sousa explained, adding that the “scraps” could be used as a form of shading device, diffusing natural light. 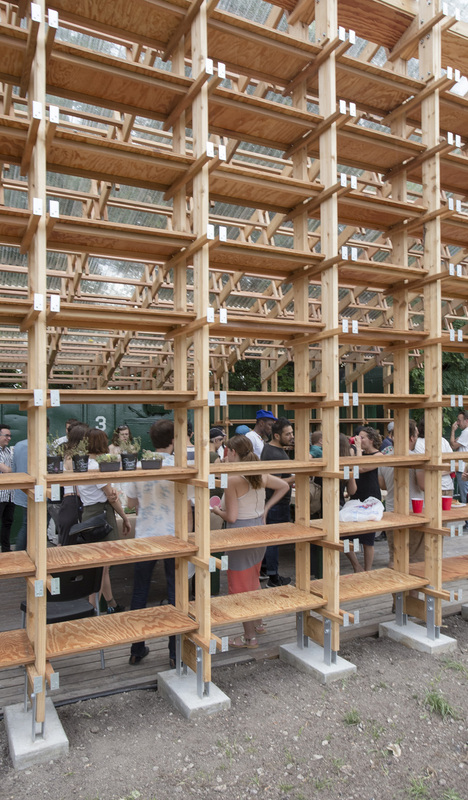 “After building the primary structure we let it out of our hands,” said de Sousa, though he and Hou confessed to being “tempted” to add their own materials.